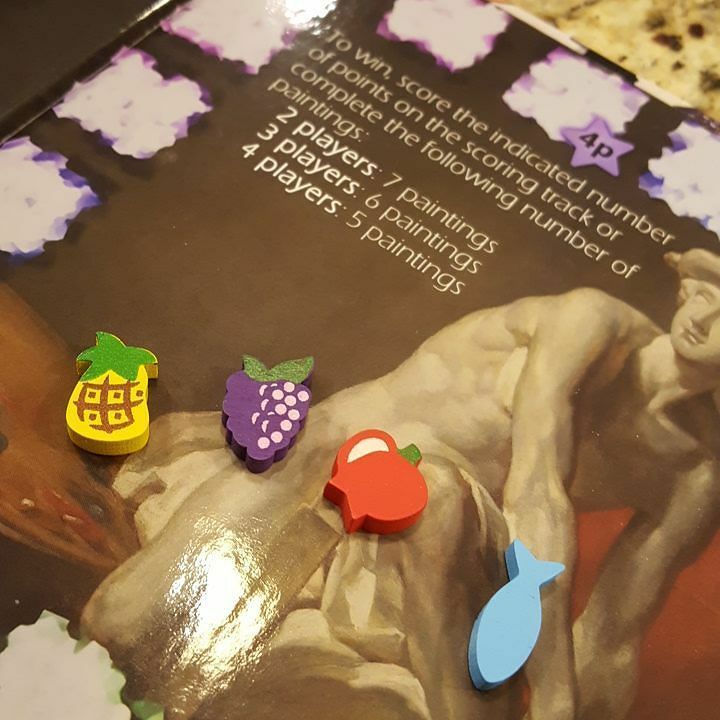 Starving Artists is an award-winning, turn and resource management game for one to four players. Using some of the world’s most beautiful works of art, players complete these masterpieces using transparent cubes in an attempt to become famous artists. It takes about 40-60 minutes (approximately 20 minutes per player). Starving Artists is played over a series of turns. Each turn represents a new day. On each day, you must choose between: buying new canvases, painting the canvases you already own, or working in order to get more paint. If at the end of the day, you’ve completed a masterpiece, you can sell it to earn more paint and food. If you don’t spend your days efficiently, you won’t be able to feed yourself, and you’ll have to give up on your dreams. As an aspiring paint-by-cube artist, your life centers around the paintings you must complete. In order to complete those paintings, you take two actions each day. 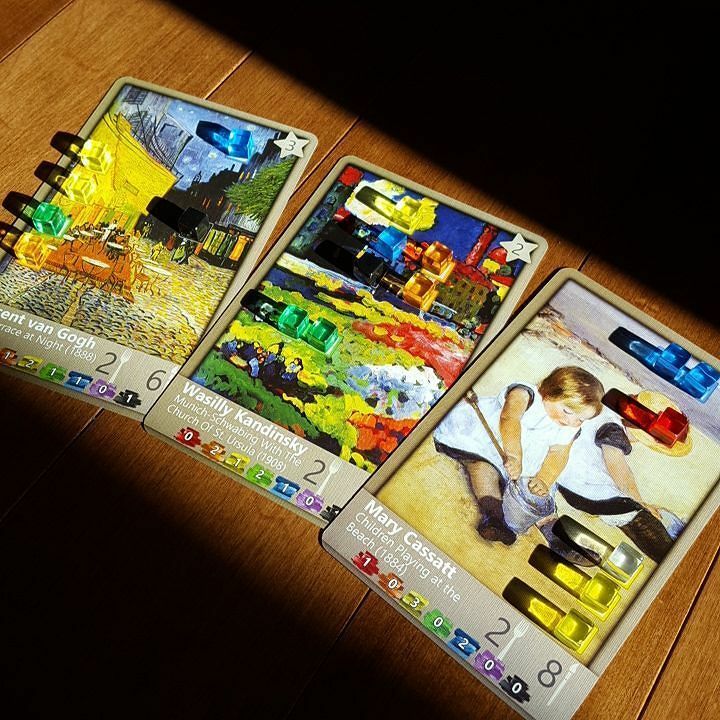 You can buy new canvases from the market, paint canvases in your studio using your paint cubes, or work to collect new paint cubes. At the end of each day, you can sell your completed paintings. But, you’ll be competing in the limited marketplace for paintings with anyone else who wants to sell. If there’s not enough paint to go around, you’ll have to make do with less. Each copy of Starving Artists comes with everything that an aspiring artist needs: paints, studios, canvases and food. 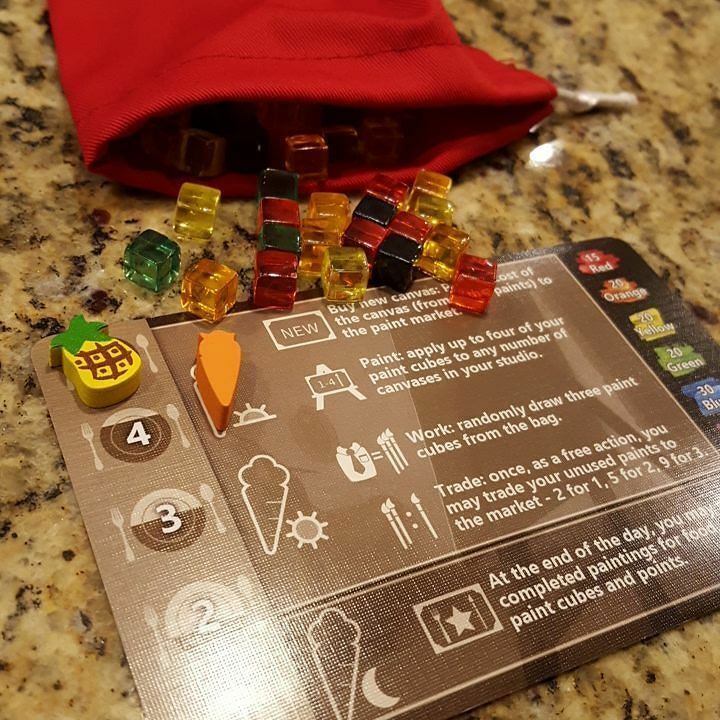 They also come with things that you probably wouldn’t think about: magnetic clasp box, rule book, paint bag, and silk-screened wooden tokens for player markers. 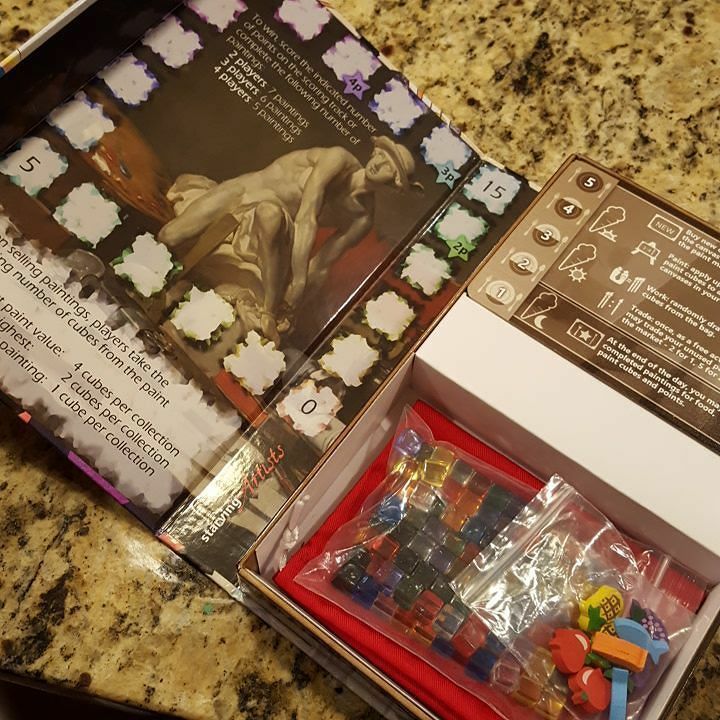 The game was funded by more than 1300 backers on Kickstarter and now includes more than 90 pieces of art. 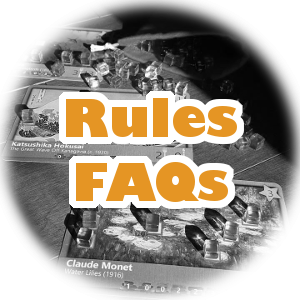 You can read the current version of the rules on Board Game Geek. You can also try the Print & Play version of the game. The print & play includes the current set of cards and printable squares to use instead of cubes. 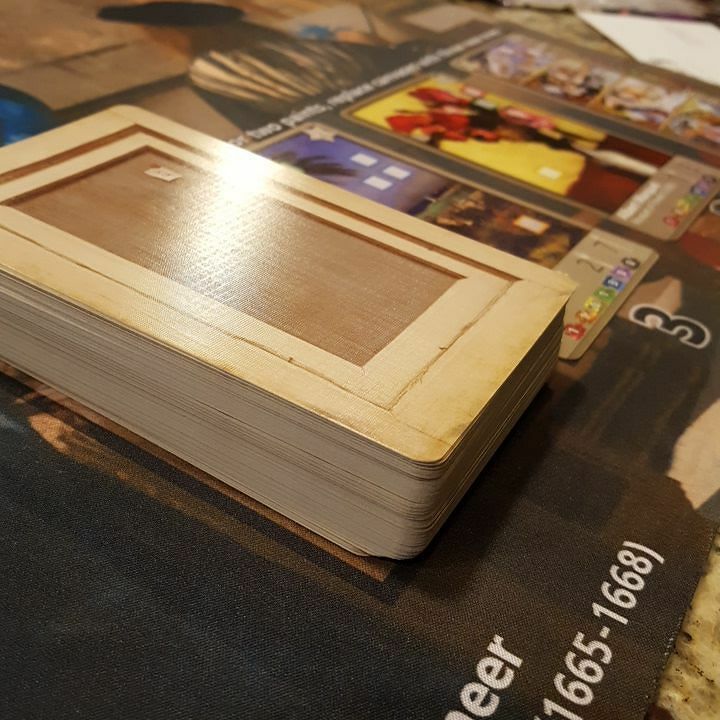 The current version of Starving Artists is available to play it today on Tabletop Simulator:Subscribe to it here.